9251PRO-CHR-KD with auto-trans kickdown lever available to Special Order. See 9251PRO-KD for details. 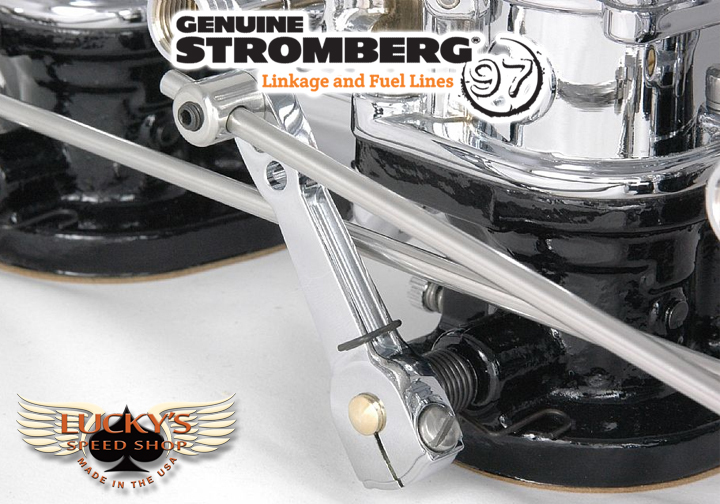 For a chrome direct linkage at this spacing, order 9246S and shorten the rod by 1-1/2 inches. 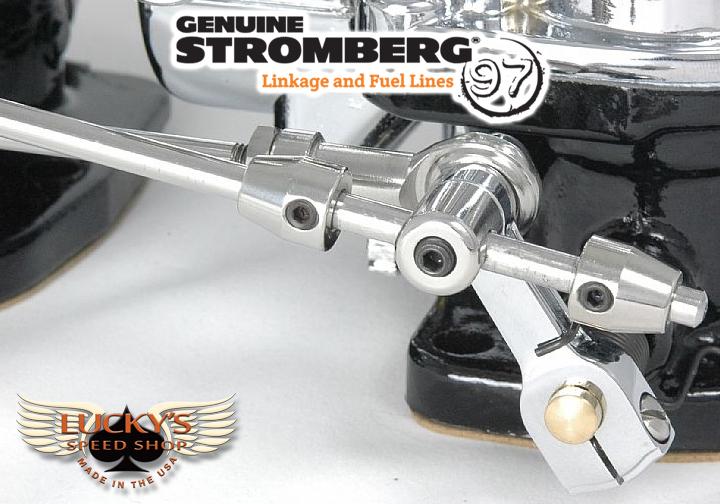 A high quality, CHROME 3×2 progressive carburetor linkage designed for great looks and a positive action. Use with intake manifolds that put each carburetor 4-7/8 inches apart. See above for typical manifold applications. Note: Intake shown in photos is for reference only. 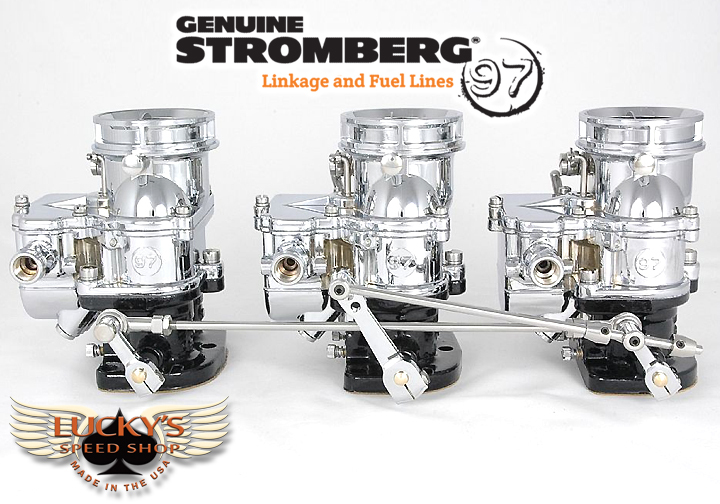 Designed and manufactured exclusively by Stromberg Carburetor, the TwoStep linkage range combines clean, traditional looks with maximum leverage and huge versatility. Each kit comes pre-assembled and installs in just two simple steps, without the need for extended throttle shafts. Our kits are not a ‘one size fits all’ solution. Different intakes use different carb spacing, so we modelled every kit in 3D CAD and offer different kits for specific intakes. If you’re in doubt, simply measure your manifold spacing – throttle shaft to throttle shaft. 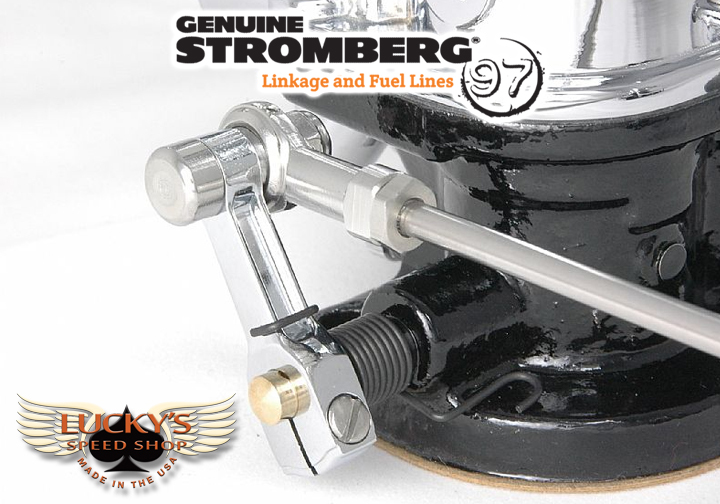 Progressive kits have opposite threaded rod ends for easy adjustment. Just spin the rod to adjust for the correct lever angles. TwoStep progressive systems are designed to ensure optimum performance and ensure maximum versatility. 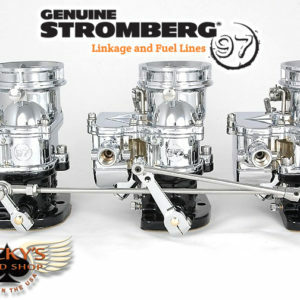 The primary lever has three mounting points to change when the secondary carburetors open, and you can pull the front carburetor or push the rear one open to suit individual applications. 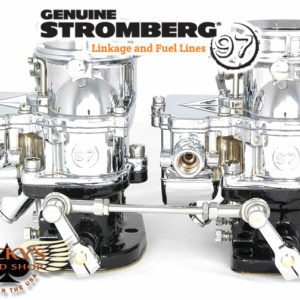 On the top setting (as supplied), the linkage will start to open the secondary (end) carburetors at around 50% primary (center) carburetor throttle rotation. Lower holes will open the secondaries sooner. To improve leverage, the primary (center) arm was kept as long as possible without hitting the carburetor S-jet. It also has a bigger clamping screw to handle more linkage torque. The sliding progressive rod meets the secondary carb rod at the top of the lever arm – not part way down like some systems. 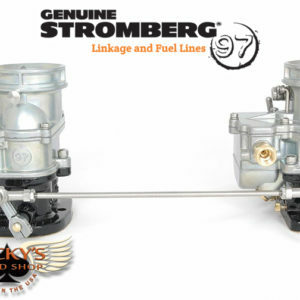 Good leverage is especially important as 97 multi-carb systems have strong spring resistance. Special swivels and bolts were developed to clamp the rod ends tight, yet still allow the sliding swivel to rotate. The neat tapered rod stops have discreet set screw fixings. And the rounded bolt has a small blind hole in the head. Simply insert a small hex key (like the one you use for the small rod stop set screws) to stop the swivels turning while you tighten the lock nuts. WARNING! To use this linkage with banjo fuel fittings (eg. 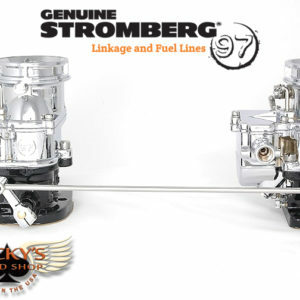 Stromberg 9082K and 9083K), you must add our 9086K banjo fitting spacers. Without them, the banjo and its fuel hose will interfere with the long primary (center) lever linkage arm causing linkage binding or sticking, which could result in uncontrolled engine speed, property damage, serious personal injury or death. Always read the instructions before installation.